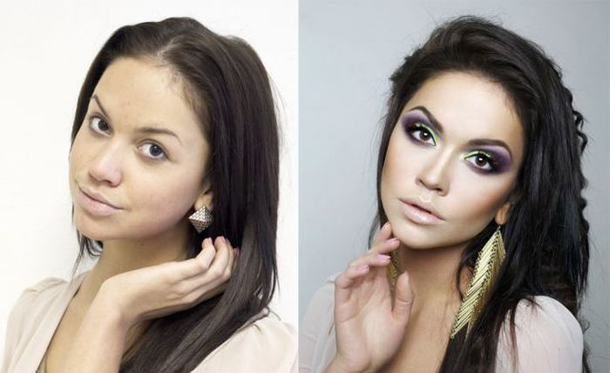 With make up you will feel more confidence! The first thing a person usually notices on you is your face. When you put make up on you will be ready for the world and confident in proceeding threw the day.This doesn’t not mean that you couldn’t be confident without the make up. It will give you a little bit more of positive energy to your natural self-confident. 2. Magnify Your Natural Beauty! Every woman is different, one of us has a beautiful eyes, one beautiful cheeks, one beautiful mouth… one of us has all beautiful on her face … with make up all of this parts on your face you can make stand out more. For example, if you have pretty eyes, you may use eyeliner to make them stand out more. You may also apply mascara to your eyelashes to make them appear longer and fuller, further calling attention to the natural beauty of your eyes. 3. Cover All Facial imperfections! If you have dark circles’ under your eyes after night of little sleep with well applied make up you can hide them ride away ,thought these will probably disappear once you catches up on your sleep .Make up is also good to brighten the face and camouflage blemishes, pimples, visible pores ,uneven coloring and even some scars . 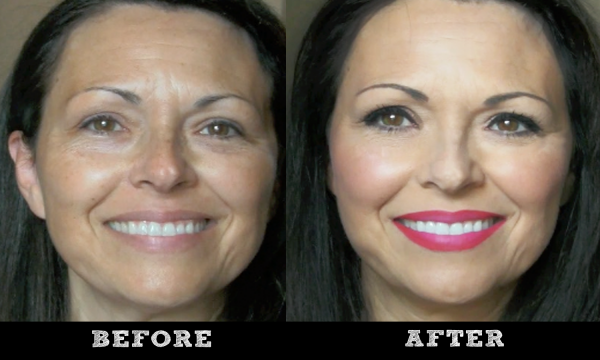 You may wear makeup to give your face a more youthful appearance . You may feel that growing old graciously is easier if you can look good while doing so. You may use make up to hide lines , blemishes ,and age spots as well as to give yourself more youthful glow . How many times you have heard men tell you that he loves you the most without make up – and how many times you see him on the street to look back for a girls with make up? Statistics show that the vast majority of men like women with make up – but not with to much make up! Men love women from which radiates confidence-many women feel much more confidence when they wearing make up and then they radiate special energy that is very attractive to men. 6. Be Successful in Every Area of Life! Statistics shows that the most businesswomen are convinced if they appear on work without make up the chances for promotions are on the low level. Every forth woman believe that in that situation cannot be promoted and 37 percent believe that head of department has a low opinion of them. So my dears makeup helps you to achieve self-respect .It is true that our judge about others is based on look, that’s why putting make up is especially important for you businesswoman when you appear in public. Maybe for you all of this doesn’t have sense or you will ask your self how wearing make up will make you happy? I will tell you how because I was in the same situation. Take this important first step. What have you got to lose? You can experience the magic when your friend, coworker, husband or your kids’ give’s you a compliment, you wont take out smile from your face and you will be happy all day long, your self-confidence will be on the highest level and everybody will notice that. I’m shore that you had that kind of experience when ever you got compliment for the way you dress up, just that filling complete with make up, it’s real magic! Top 5 The Most Improved Laser Hair Removals! What Do You Think, Why Chinese Women Are Skinny?